God is absolutely free from all limitations of space and time. God’s essential nature is spirit. 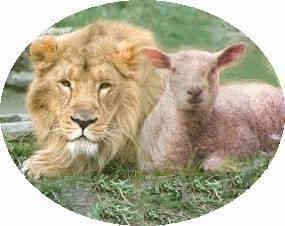 It is with that truth in mind we would see Jesus with the apostle John in Revelation 1:17 ff. “God is spirit.” He cannot be imagined, and we cannot use anything to help our conception of Him. Nothing that can be made, seen, or touched can help us worship a spiritual and invisible God. The LORD God dwells in unapproachable light, the very God of very God, even Jesus Christ our Lord and Savior. To see the face of our Lord Jesus and enjoy His holy love is to stand in the sun. John saw Jesus, “the Sun of Righteousness” (Mal. 4:2). And His face was like the sun shining in its strength" (Revelation 1:16b). "When I saw Him, I fell at His feet like a dead man” (Revelation 1:17b). It reminds us of the transfiguration of Jesus when “His face did shine as the sun, and His raiment was white as the light” (Matt. 17:2). John saw in His vision the risen, glorified, and exalted Son of God as our Priest – King reigning in glory. Jesus Christ is our Lord of glory. It is very significant in this context that the titles applied to The Risen Jesus are Old Testament descriptions of God. No sinful man can stand before the Lord and live (cf. Acts 26:13-14). The apostle John says, "When I saw Him, I fell at His feet like a dead man. And He placed His right hand on me, saying, “Do not be afraid; I am the first and the last" (Revelation 1:17). Jesus in His grace reached down, laid His right hand on John and said, "I am the living One; and I was dead, and behold, I am alive forevermore, and I have the keys of death and of Hades" (Revelation 1:18). It is a revelation of the absolute Godhead. In the scriptures everyone who truly saw God were filled with fear (Isa, 6:5; Dan. 10:8-9, 8:17; Ezek. 1:28; 3:23; 9:8; 43:3; 9:8, 43:3; 44:4; Jud. 13:22; Job 42:5-6). Those who are brought face to face with the Lord Jesus Christ are terrified because they realize their sinful unworthiness to be in His holy presence. Oh, that you and I be so changed by dwelling so near to Christ that His holy presence would so shame and humble us that we would fall upon our faces and cry, “Unclean! Unclean!” "He touched my mouth with it and said, ‘Behold, this has touched your lips; and your iniquity is taken away and your sin is forgiven’” (Isaiah 6:7). There is no greater glory than to behold the face of Jesus Christ. His own countenance is the center of glory. Just to think that He loved us so as to die for us is a surpassing glory of love and grace. His countenance is set toward you and me today. When you see such glory and splendor of the love of God in Jesus Christ, you can never be the same ever again. The glory of God in the face of Jesus Christ will be brighter than a thousand suns. Let Jesus Christ shine in your heart, and you will love as no man or woman loves. When the Lord our Righteousness comes, He brings healing in His wings. No sin can ever be in His presence. In His healing we are made strong and pure. “Let the Lord show His presence and we have reached the Height of our desires,” Spurgeon said. What if the risen, glorified Lord Jesus were to manifest Himself as He really is in all of His unveiled majesty today? One glorious morning He will. Oh, that it were today!